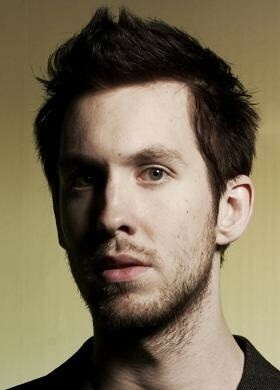 Calvin Harris will release new single ‘We’ll Be Coming Back’ featuring Example on 30th July. This will follow on from the #2 single ‘Let’s Go’ feat. Ne-Yo released last month and the 2011 worldwide hit ‘We Found Love’ with Rihanna. A melodic guitar-led intro gives way to a hard electro synth-fuelled chorus backed by Example’s vocals. Remixes come courtesy of Michael Woods, Killsonik, R3hab and Jacob Plant. Calvin is currently making a big impact in the US with tour dates and with his single ‘Feel So Close’ which is out now in North America, but is still on the rise at radio and on the charts. It has now sold over 1.5 million downloads and the video for ‘Feel So Close’ has received over 57 million Youtube views so far. So far, he’s had ten Top 10 singles in his career, including three #1 singles with ‘We Found Love’ (#1 on the Billboard chart for 10 consecutive weeks and #1 in 19 countries selling 11 million copies worldwide), ‘I’m Not Alone’ and ‘Dance Wiv Me’ (with Dizzee Rascal) and over 500,000 albums sold in the UK. Since his last album, Calvin has been touring the world DJing everywhere from Las Vegas to Ibiza to Australia along with playing a 56 date UK and European tour with Rihanna at the end of 2011. He is currently working on his new album which will be released later this year and will feature the singles ‘Let’s Go’ feat. Ne-Yo, ‘We Found Love’ with Rihanna, ‘Feel So Close’ and ‘Bounce’ feat. Kelis. Calvin will be performing at festivals including T in the Park, Wireless, Creamfields and Wakestock and will also be joining Swedish House Mafia as support at their Milton Keynes Bowl headline show on 14th July whilst continuing to DJ headline shows across the globe.